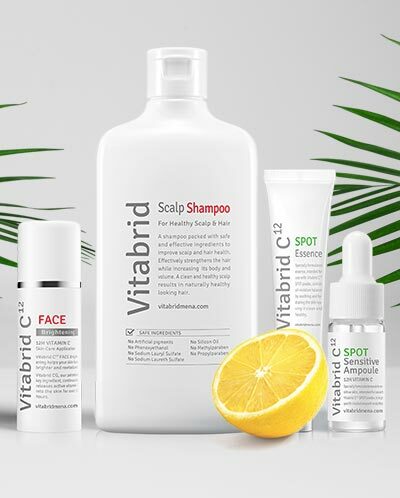 The benefits of Vitabrid C12 are endless for both hair and skin. Collagen plumps up the skin making it look firmer and younger. Vitamin C bonds naturally with collagen and boosts collagen production in the skin and hair. When applied topically, Vitamin C has been scientifically proven to be effective in the reduction of skin-cell damage. Vitamin C protects the skin from the unwanted daily effects from sun, stress and pollution, leaving your skin looking younger, healthy and more radiant. Vitamin C prevents pigmentation from damaging enzymes and leaves your skin looking brighter and healthier. While vitamin C has fantastic benefits for skin and hair, the effects are not always long-lasting. We have developed a new way to bond vitamin C, allowing it to penetrate your cells and constantly release it for up to 12 hours.